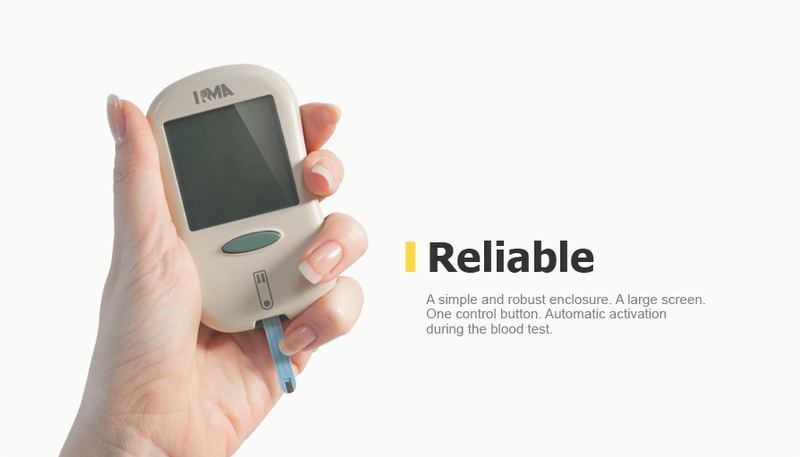 We developed and put in production the Irma glucometer; a device for measuring the concentration of glucose in human capillary blood. The project was commissioned by the Minsk Research Institute of Radio Materials. The device successfully passed clinical trials, received certification as a measurement instrument and was the only domestic glucometer in Belarus. The aim of our customer is to create a simple and reliable device that by its parameters is not inferior to imported analogues present on the Belarusian market. In the future, the functionality of the device may be expanded: it may be applied not only to control glucose level, but also for other blood tests.